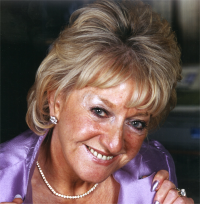 Pat Mancini was the uncrowned Queen of Blackpool, running the Queens Hotel worth millions and owning every bit of it until her death in 2011. Yet she first arrived in Blackpool, frightened and penniless, over 40 years ago. Queen Of Blackpool, the story of her rise from rags to riches is packed with extraordinary emotion, delicious detail and marvellous memories.